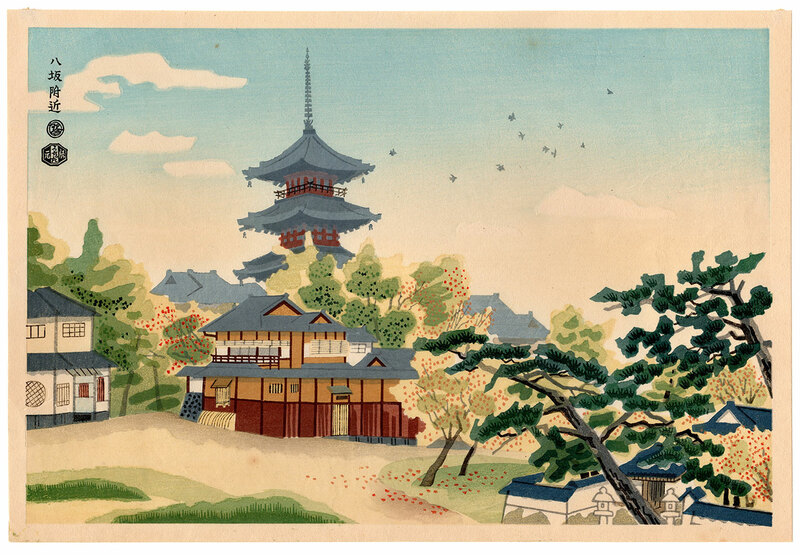 The Hokanji Temple (法観寺), known colloquially as Yasakanoto (八坂の塔), is a pagoda that stands out on the Higashiyama District (東山区), a stone's throw from the floating world of geisha (芸者) in Kyoto. 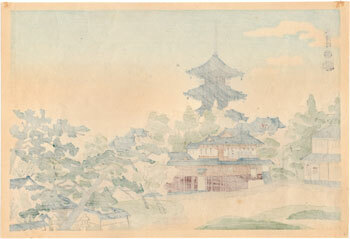 Its uniqueness consists in the fact that it is an isolated architectural element, since the temple complex of which it was part has been practically swept away by a series of fires and earthquakes that have occurred over the years. 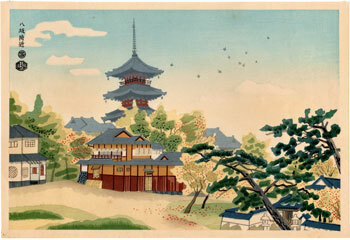 Here we see it depicted, from the perspective of the Kodaiji Park (高台寺公園), in a refined woodblock print of the sosaku-hanga (創作版画) type made in 1935 by the artist Kotozuka Eiichi (琴塚英一) and entitled "Near the Yasaka Shrine" (八坂附近). 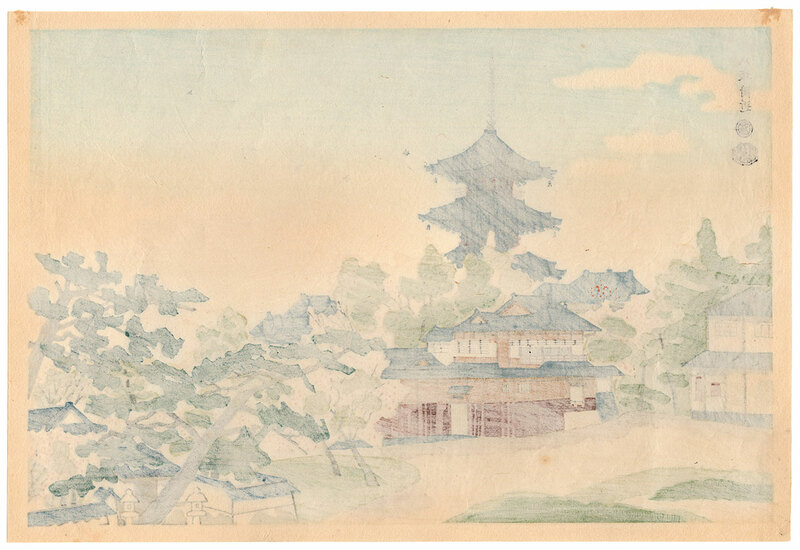 The work on Japanese washi paper (和紙), produced by the publisher Uchida (内田), despite some proper signs of the time is in very good general condition.